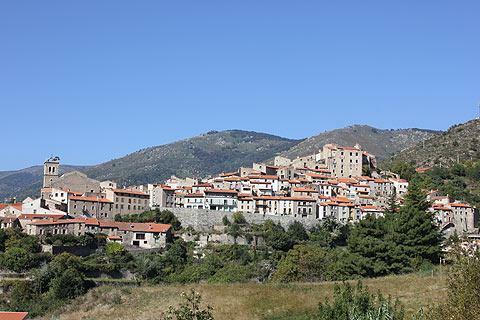 Mosset is a small village towards the north-west of the Pyrenees-Orientales department of Languedoc-Roussillon, situated high on a hill above the Castellane Valley to the west of Perpignan . 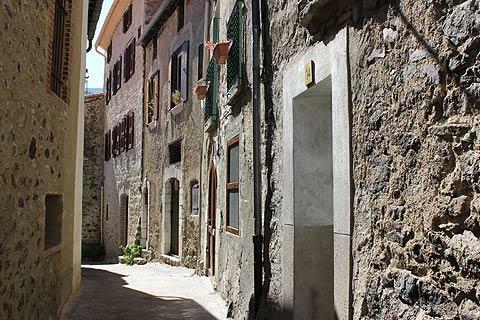 Mosset is classified as one of the 'most beautiful villages of France'. 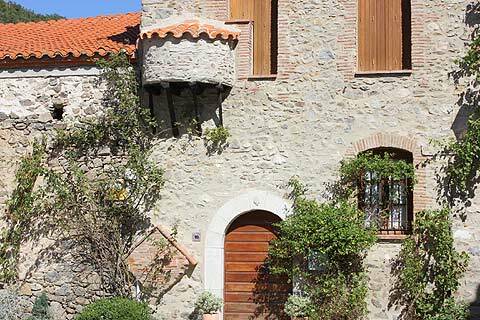 The main pleasure of a visit to Mosset comes from exploring the narrow medieval streets, absorbing the historic atmosphere and enjoying the views out across the surrounding countryside. Although much of the original defensive structure that once defended the town is now gone, you can still see parts of the ramparts and the towers and entranceways that once formed part of the ramparts. 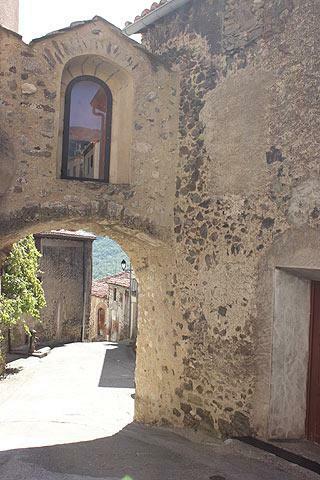 There are also some monuments of interest to enjoy nearby, such as the 17th century Church of Saint-Julien and Sainte-Baselisse; a small 13th century chapel built in the roman style; and the 13th century watchtower called the Mascarda Tower which once kept watch over the valley. 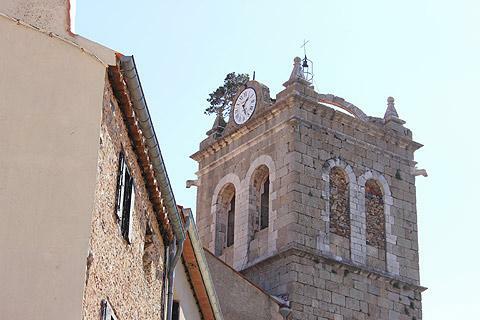 The 'Tour des Parfums' is now a small museum where you will be introduced to the scents of the local perfumes and Mosset tourist office is situated in the tower. As you walk around you will see that some of the buildings have round structures bulging out of their upper stories: these are bread ovens and this region is the only one where I have seen bread ovens built in this way. France This Way comment: on the whole I must say that although it is certainly pleasant and a visit is recommended when you are in this region, I'm not sure that Mosset is of the very high standard of most of the 'most beautiful villages' of France. Mosset is now part of a protected nature reserve, and a walk through the surrounding countryside is highly recommended, with many opportunities to see unusual wildflowers and to catch glimpses of the wildlife as it scurries away. Numerous marked trails are available - we followed a pleasant trail through the forest that took less than two hours. The chapel at Corbiac is a scenic 12th century chapel and monastery two kilometres downstream from Mosset (now in private ownership). 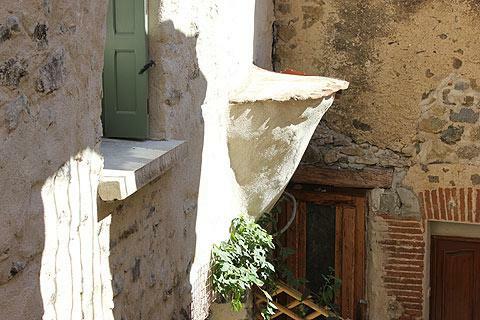 The village is also a little way north-west of the village of Eus, which (as with Mosset) is classified as a 'most beautiful village of France'.